Anyone who uses their creative streak (we all have one, but some use it more than others) know the frustration of the process and how often it makes you want to bang your head against the wall to get something you need out of it. Every single piece of artwork I do, whether it’s a drawing, painting or design, has a phase of frustration. I’m stuck and don’t know what needs to be done next. 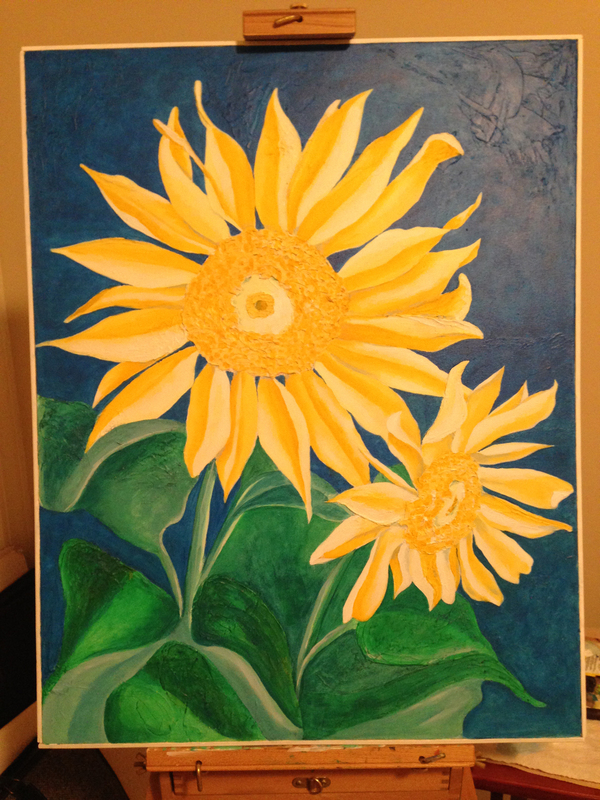 I wrote about my sunflower painting here and this is where I got stuck…for months. I have learned a few things over the years. One being that if something is in plain view it will eventually aggravate me until I clean it, pay it or fix it. So I left this on the easel right where I had to look at it every single day. 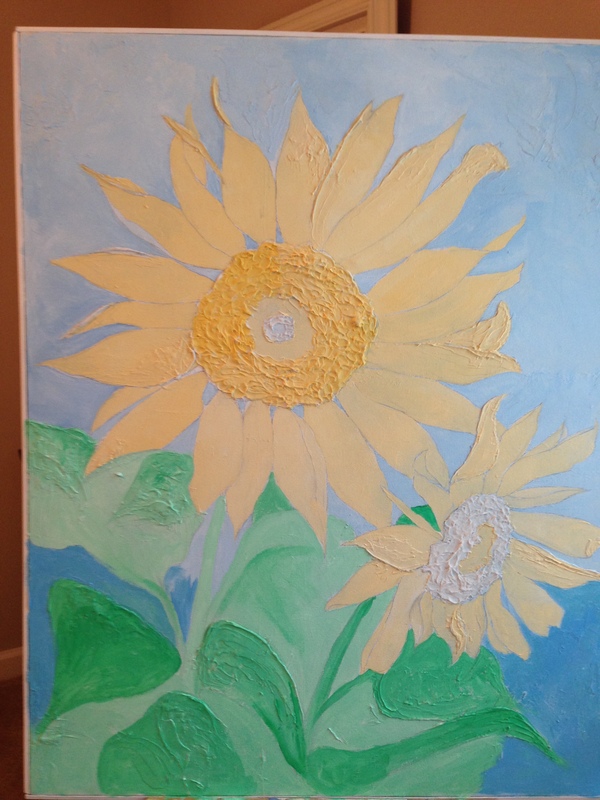 A couple of weeks ago I had a rare free Saturday and the beginnings of a new list of projects that will require my easel back so I forced myself to put paint on canvas again. It was still aggravating and to begin with I was hating it, but kept working on one small section at a time until I got it where I wanted it. Of course, like any artist, writer, crafts person, etc. I can tell you every single flaw I see in it, but hopefully you don’t notice it or think it’s a flaw. I just eventually have to call it “done” and “satisfactory” or I will wind up in a special jacket. It is cheerful, bright and absolutely does not go in the room that I started it for. Oh, well, art takes on a life of its own.